I am generally concerned about overall market conditions, so adding a short position to my portfolio is attractive in the current market environment. As an analyst who specializes in clean energy stocks, I have suspected that Enphase would not survive much longer because I believe that its core technology is no longer the best solution for most applications. As a poorly capitalized, unprofitable company, Enphase lacks the financial resources to regain a competitive edge. After considering the evidence in the report, and using one of my own favorite tools to detect possible earnings manipulation, I decided to join Prescience Point in shorting the stock. 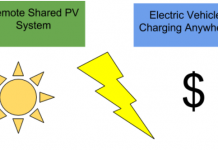 Solar photovoltaic systems produce direct current (DC) electricity, and inverters are required to convert DC power to the alternating current (AC) power which is used by the electric grid. There are four basic types of inverters, with different strengths and weaknesses for different types of solar installations. Central inverters are used in very large utility and commercial scale solar farms. They do not compete with Enphase’s microinverters, and so I will not discuss them in detail here. String inverters were the industry standard for small and medium-scale solar installations until recently. String inverters achieve high conversion efficiency by relying on high voltage DC current, which is achieved by wiring several solar panels in series. A group of solar panels wired this way is called a string. The downside of strings of solar panels is a weakest link problem. The power output from each of the panels is effectively limited by the power output of the lowest power panel in the string. Variations in output between panels arise from mismatched panels (panel manufacturing is not completely consistent), soiling of the panels by dirt or bird droppings, and by partial shading. Even a tiny patch of shade on a single panel can greatly reduce the output from the entire string. Eventually, power electronics progressed, and high DC voltage was no longer needed to achieve high DC to AC conversion efficiency. Enphase and a few competitors introduced microinverters, which paired each solar panel with a single small “micro” inverter attached to the back of the panel. Of these microinverter pioneers, only Enphase still does significant business. The microinverter instantly solved the weakest link problem for solar strings by eliminating the string. In addition, new fire codes being adopted by states since 2012 have given microinverters a leg up on their larger cousins for rooftop installations. These codes require that a solar system can be shut down from near the panels on the roof. String inverters are incapable of this feat, because they do not have any electronic controls on the roof, while cutting power to a microinverter turns off the current all the way back to the panel. It can also lower the cost of installation, since installers only need to know how to handle wiring for AC current at typical household voltages. 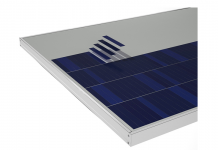 Some solar panel manufacturers, notably SunPower (SPWR) took the next logical step in installation cost reduction by bundling a microinverter with a solar panel in a single package they called an “AC module.” Sunpower’s AC modules come with a 30 year guarantee on the complete system. This premium product (Sunpower’s panels are also higher efficiency than any of their competitors’) appeals to many homeowners, especially ones trying to get as much electricity as possible out of limited roof space. SunPower’s AC module strategy was dealt a serious blow by President Trump’s solar tariffs, because by combining the microinverter and the DC solar panel into a single product, they inadvertently made both subject to the tariff. Unable to obtain an exemption, SunPower sold its microinverter business to Enphase in June. 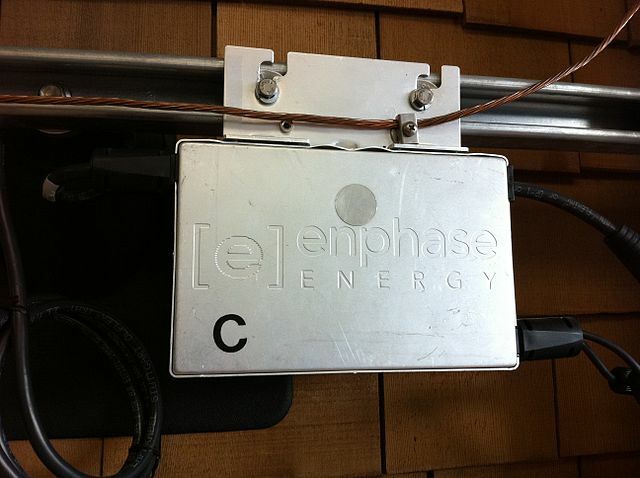 Enphase’s stated motivation was to acquire a captive customer and consolidate its hold on the microinverter market, although Prescience Point calculates that Enphase significantly overpaid for a five year supplier agreement at inflated prices in an effort to artificially boost its profit margins. The company admits that it did not gain significant intellectual property in the deal. Even if Enphase did not overpay, I believe that consolidating its control on the microinverter market is a risky strategy because, without significant technological advances, microinverters are an inferior product for most applications. Microinverters come with several drawbacks. The large number of microinverters needed to replace a single string inverter adds to cost. The 120 or 240 volt AC current that microinverters produce requires larger and more expensive wiring than the several-hundred volt DC current typically used by strong inverters to connect the panels to the inverter. Inverters are typically less durable than solar panels. Placing microinverters on the roof under the solar panels places them under additional stress than a string inverter which can typically be placed in an area subject to fewer temperature extremes. Although a single mincroinverter failure will not take down an entire solar installation, the larger number of microinverters means that such failures are more common, and the placement of the microinverters under the solar panels adds to replacement costs, especially on rooftop installations. Given these drawbacks, microinverters have only been competitive for small residential systems, especially ones that have to cope with significant shading. 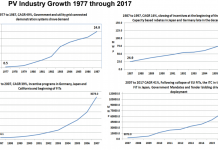 For larger systems, the economics of scale generally win out. The most recent innovation in the space is string inverters with DC optimizers. These combine the economics and efficiency of having a string inverter in a protected location, with the control and power balancing of microinverters by pairing each panel with a much smaller piece of electronics, a DC optimizer with each panel. These DC optimizers both compensate for differential power production between panels (solving the “weakest link” problem), and allows power to be shut down all the way back to the panel, allowing them to comply with the new fire codes. While not quite as flexible as microinverters in terms of compensating for variations in output from different panels, string inverters with DC optimizers are nearly as good as microinverters in typical installations, but are competitive with traditional string inverters from a price standpoint. The string inverters with DC optimizers are sold by SolarEdge (SDGE). By maintaining a high, fixed DC voltage from the panels to the inverter, SolarEdge’s solution has a slight advantage over traditional string inverters (and a large advantage over microinverters) in terms of wire sizing. It also maintains most of the maintenance advantages of traditional string inverters by locating the most sensitive electronic parts at the inverter. These advantages have allowed SolarEdge to grow its market share by 182% from 2014 to 2017, while Enphase’s market share declined 17.5% over the same period. In order to reverse this trend, Enphase would have to improve its technology and cost structure in order to remove SolarEdge’s price advantage. While Enphase is working towards this goal, it is not well capitalized or profitable. SolarEdge is both of these things, and is also investing in improving its technology. It seems unlikely that Enphase can win this innovation race with fewer resources when it is already behind. Meanwhile, other profitable and well capitalized inverter and electronics manufactures are working on solutions to comply with fire codes and address partial shading. As a contestant is what seems to me to be an unwinnable race, it would hardly be surprising if Enphase’s management were tempted to cook the books in order to boost the share price and raise some much needed funds. This is precisely what Prescience Point’s report alleges. I found that the report makes a compelling case, which I will not summarize here. Instead, I suggest that you read it yourself. In addition to reading the report, I decided to do my own test. I like to use the Beneish M-Score, a statistical model which combines a number of financial ratios to detect financial situations which would tempt a business to fudge its accounts, as well as tell-tale signs of actual cheating. Before the first quarter this year, Enphase’s M-Score was normal, but with the Q1 numbers a number of the component ratios moved in the wrong direction, and the M-score began signaling a high probability that Q1 earnings may have been manipulated. In particular, the ratios that contributed to the unfavorable M-Score were the Gross Margin Index and Sales Growth Index, both of which were showing a high incentive to manipulate, while the Asset Quality Index was indicating likely excessive capitalization of expenses. An unfavorable M-Score is nothing like proof of earnings manipulation, it just means that cautious investors should be going over the books with a fine-toothed comb. Which is exactly what Prescience did. I was already looking for stocks to short as a hedge in what I believe is an increasingly dangerous stock market environment. I was also already skeptical of Enphase’s long term business prospects. Prescience’s report, and the unfavorable M-Score combined to make the decision to short Enphase a particularly easy one. It turns out that the stock is hard to borrow, so rather than shorting directly, I sold Enphase $7.50 December calls the day the report came out (July 25th.) I only wish I’d sold more. Nobody, yet. But I’ll take your money if you’re offering. You obviously have little knowledge about solar inverters, and their failure rate. Thanks for the link. Makes me glad I don’t own SEDG (not that I planned, too.) It looks like they have some hidden problems, too. There may even be a decent short SEDG thesis in it, although I think maintenance problems are likely to be too long term for shorting. But you just got me to log on to my mom’s SEDG monitoring system to see if any of her optimizers might have failed. In the 8 months since install, they all look fine, but it’s worth checking every few months (and she’s not going to do it.) My own system is from 2014 and has two SMA inverters- both operating well. But so far, SEDG’s potential maintenance issues have not helped ENPH’s market share, not does it help the short term pressure which may be causing them to manipulate their results. Guessing you’ve never heard of high voltage DC arc faults, or Potential Induced Degradation. The maximum number of enphase IQ7+ACM inverters wired together in parallel on one branch is 13. With each inverter at maximum output you would have 16A total on that branch. Your entire house is full of this “larger and more expensive wiring”, which also happens to be well understood and documented from a safety perspective by the NEC, and is fully capable of isolating itself in the event of a fault. My point is that wiring with 14AWG/3 for your 13 IQ6s at 240V/16A AC (actually, you’d probably want to use 12AWG/3 since this is circuit needs to be rated for continuous use) is more expensive than the much thinner 2 wire DC wiring you’d need if they were in a string, and you’d likely have lower line losses to boot. And wire sizing becomes increasingly important and expensive for longer runs. Over 100′ you’d need to go up to 10/3. Sure, there are dangers of working at higher voltages, but a frayed wire at 120V household current can cause a fire as well. Good thing enphase provides us with their purpose built Q-cable. Which is 12awg but also only uses two conductors. Copper utilized today in projects will have a higher value when projects are decomissioned. NOTE: I’ve now hopped off the short bandwagon. Readers have pointed out enough improvements in ENPH tech that the suspicious numbers may indeed have a business explanation other than accounting manipulation. I still think ENPH bears watching, but decided to take profits ahead of earnings.